The lighting you choose can set the mood in any room, and with so many options it can sometimes be overwhelming. For those of you who are unfamiliar with home decor, it can be hard to know where to begin. Read on for useful insights from the lighting experts at We Got Lites. From bedroom lighting, to outdoor lighting and ceiling fans, follow these lighting tips to ensure that your rooms get the proper lighting it deserves. Ceiling fans can hang at different distances from the ceiling depending on the requirements of your space. Our ceiling fan brands offer several mount options, each designed to optimize air flow and fit proportionately into your space. The National Electric Code requires that all fan blades be a minimum of 7 feet above the floor. Apart from that, you can select the fan mounting that best suits your room height and your style. If you have a long hallway, you may want to install wall sconces for added light. Sconces are hung about 60 inches from the floor, spaced 6-8 feet apart along the wall. If you have a double sink vanity, use a bathbar that is almost as wide as the mirror, or two fixtures (one mounted over each sink). The bathbars should be mounted 78 inches from the floor, centered over the mirror. If there is a window above the front door, center the chandelier so it can be seen from the outside. If the foyer area is large, you may also want to include wall sconces. Install them approximately 60 inches from the floor, 6-8 feet apart. 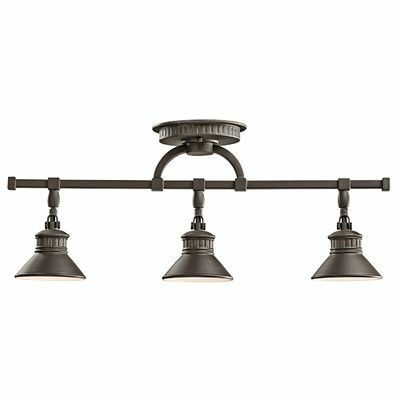 There should be a fixture every 8-10 feet. 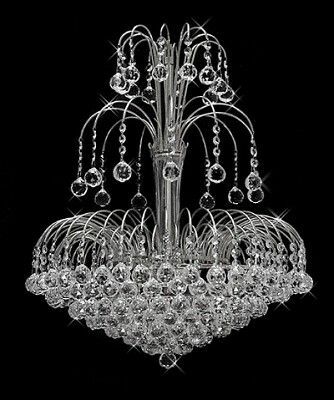 Either flush mounts, semi-flush fixtures, or chandeliers can be used depending on the ceiling height. The bottom of the light fixture should be at least 7 feet from the floor. In a casual family space, a pair of coordinating floor and table lamps allow for relaxed, versatile lighting. Use a single wall lantern on the other entrances to the house mounted on the keyhole side of the door. You may use a chain-hung lantern mounted over the front door beneath an overhang for added light. To light areas such as kitchens islands, use a decorative island light with 2 or 3 shades, or multiple mini pendants can be installed over your island for sufficient light and add a designer element to that area. The bottom of the fixtures should be no lower than 30 inches above the countertop. 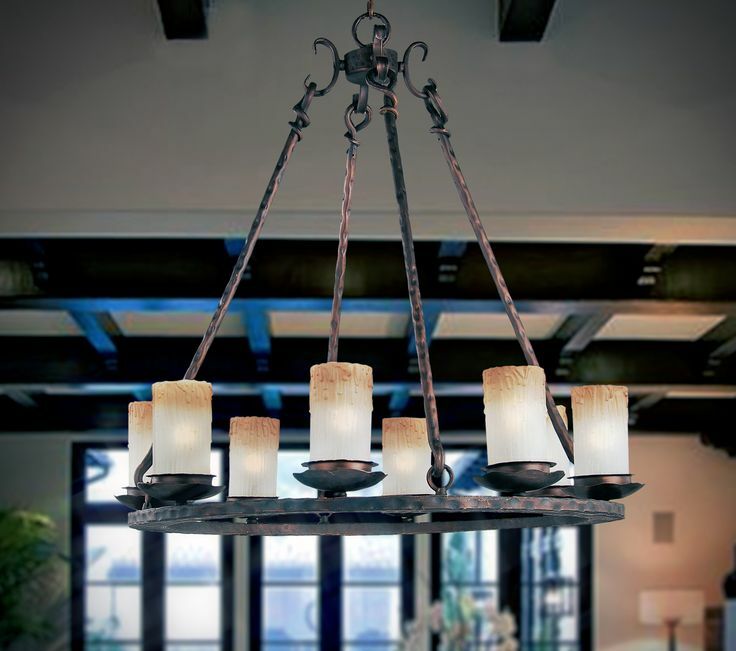 When searching for the perfect lighting fixture for your dining room, a common mistake that people often make is choosing the fixture based off the room. When it comes to style and size, you should base your choice on the style of your dining room table, and not the room. Your table is the focal point of the dining room, so you should find the perfect lighting that will frame it and give it the proper spotlight it needs. It is important to make sure that your bathroom receives plenty of lighting. For tasks such as shaving or applying makeup, it is crucial that your mirror is fully lit without any causing any odd shadows. The soft, warm light from an overhead pendant or chandelier sets an inviting tone in an ordinary long, dark hallway. Keep your pathways well lit with lanterns mounted ever 8-10 feet for safety. 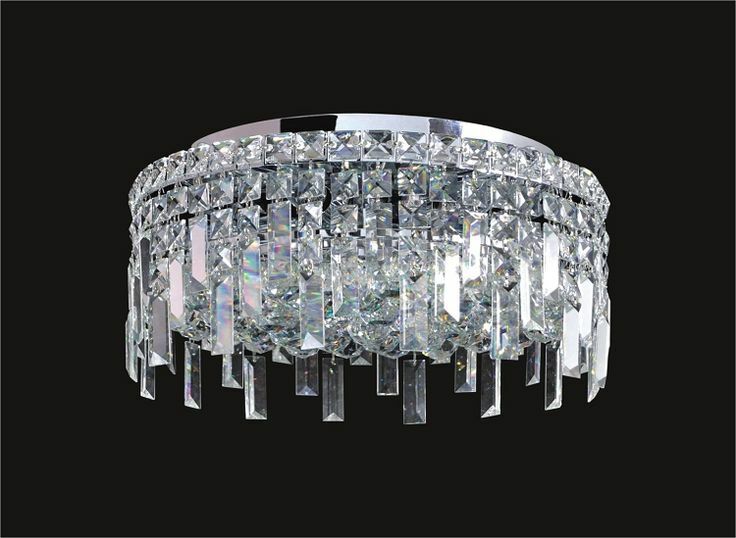 You can use a mini chandelier, pendant, flush mount, or semi-flush fixture as the main light in your bedroom. This all depends on your personal style and the overall design of your bedroom, but whichever lighting fixture you choose, it will likely be the main source of lighting in your room. Remember to have the fixture be at least 7 feet from the floor. You can add a post light near driveways and walkways for added illumination and security. If you have a kitchen bar counter, adding recessed lighting can provide it with the perfect amount of lighting without taking up any hanging space. 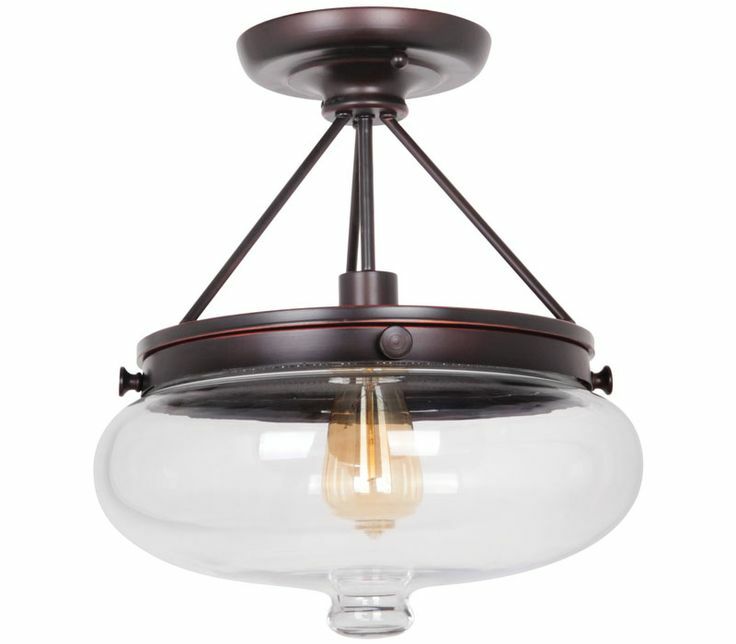 However, if your ceiling is bit higher, consider installing several mini pendant lights to add character. To light a bathroom with the desirable amount of light for the vanity/mirror and to avoid shadows, install a bathbar or bathroom vanity lighting fixture that is at least 24 inches wide over the mirror. Add two wall sconces (one on each side of the mirror) which are at least 28 inches apart and 60 inches above the floor. This can ensure that every angle on your mirror is fully lit, minimizing shadows. Your bedroom is the place where you can personalize the most according to your style. Therefore, this gives you a lot of freedom in choosing the lighting you want. 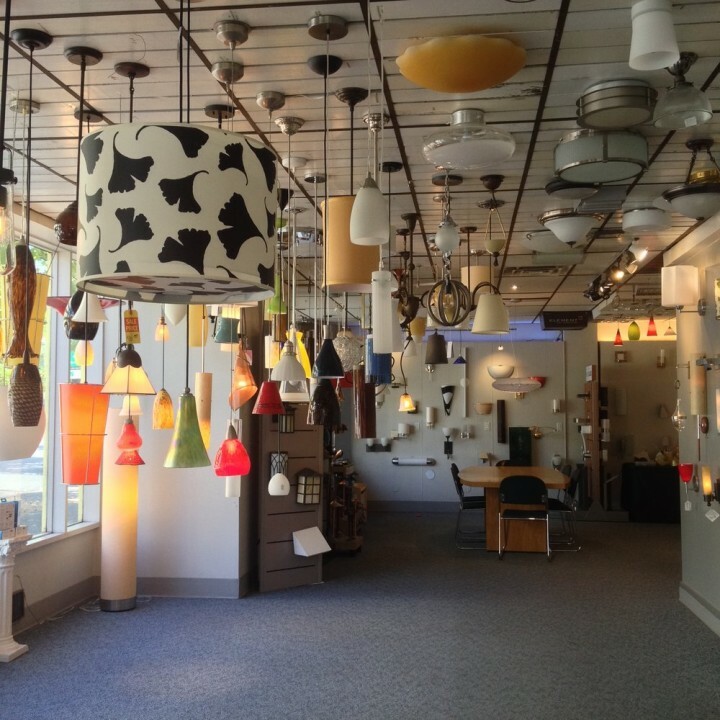 Depending on the size of your room, you may need more than just a main lighting fixture. Here are some ideas on ways you can add light to your bedroom. The living room is the place where your family and guests gather to spend time together. It is important that this room is fully lit for every occasion, while maintaining a warm and cozy ambiance. Depending on the size and style of the room, there are various methods to add lighting to your living room. Check out the different lighting fixtures you can use to create your desired setting. 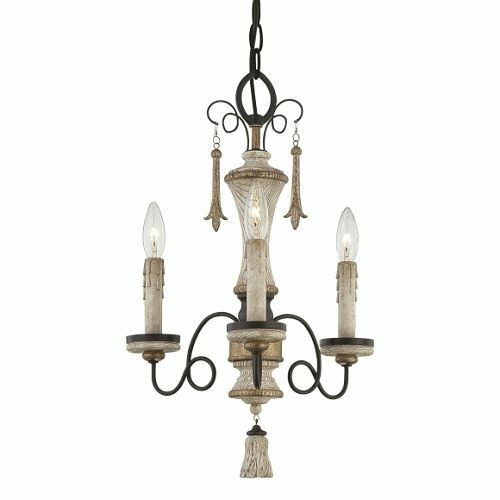 When decorating your dining room, choose a regal chandelier to frame your dining table for a sophisticated look. It’s a large piece that draws attention to your table and provides ample lighting for the room. Lighting up the exterior of your home will not only provide it style, it will also double as a security measure. There are different levels of outdoor lighting that you consider, from outdoor wall sconces to pathway lightings. Follow these lighting suggestions and you can make your house stand out in your neighborhood. When adding lighting fixtures in a kitchen, there are many different stations that you must consider. These stations can include the bar area and island. Each area should have its only unique lighting to help serve its purpose, but at the same time, blend in with the overall lighting theme of the kitchen. The moment your guests step foot into your home, the entryway foyer creates a first impression for your home. 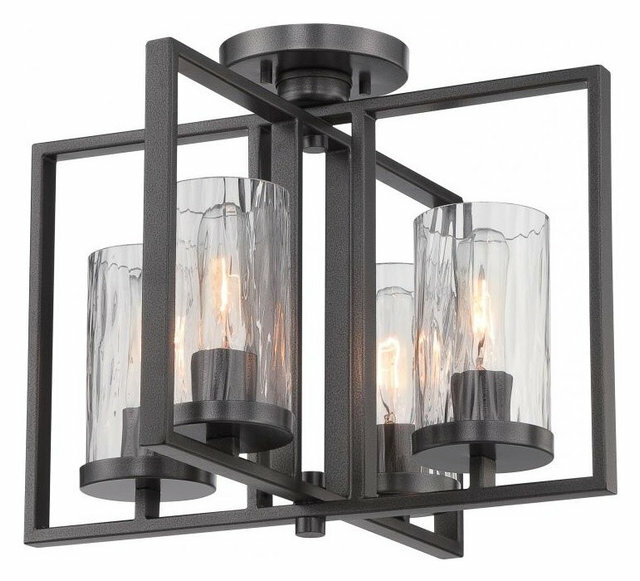 Finding the right lighting fixture for your foyer is crucial when setting the tone for the rest of your home decor. With the many different types of Foyer Lighting and Entryway Lights, it can be difficult to know which one is best for your entryway. 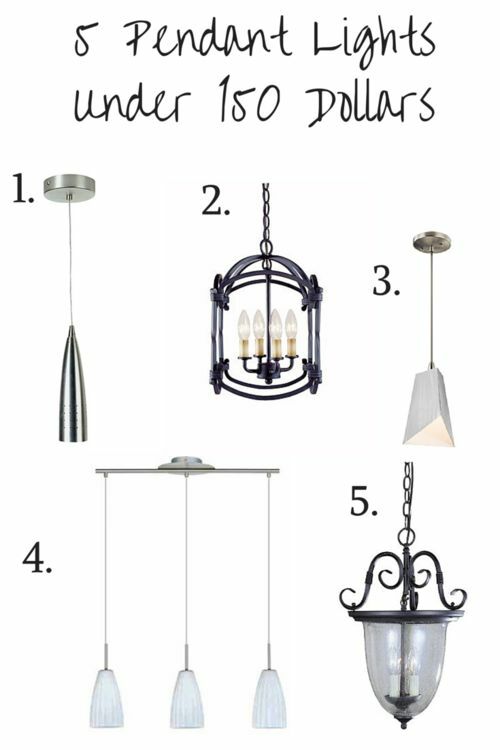 Here are some sizing and measurement tips for choosing the right fixture for your foyer. 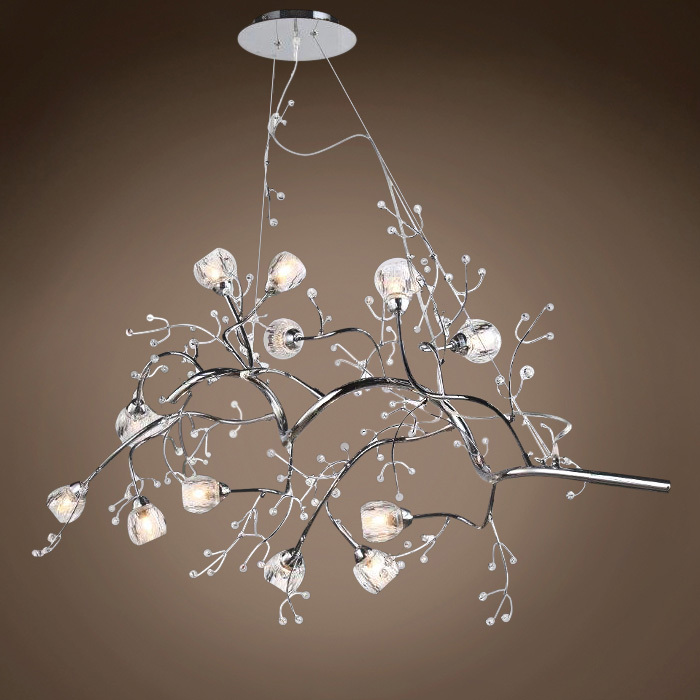 Your main light in the living room can be a chandelier, a pendant, a flush mount, or a semi-flush fixture. The bottom of the fixture should be at least 7 feet from the floor. You may add wall sconces, or portable lamps to add more light and ambience. Sconces are hung about 60 inches from the floor. A chandelier hanging over the dining room table creates a focal point in the room, adding a sense of intimacy to family meals. 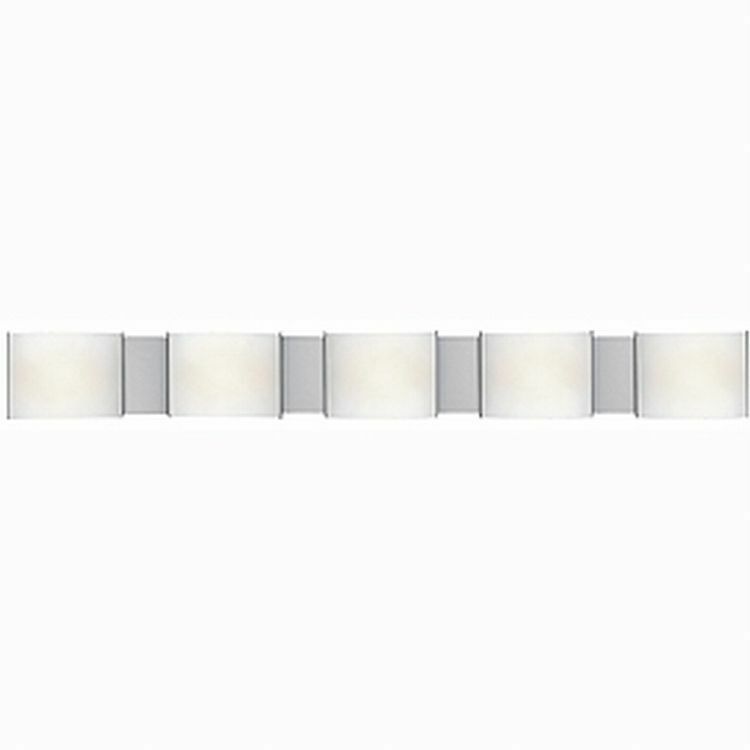 Flanking the bathroom mirror, multiple wall sconces lend a wash of light that’s bright without being glaring. Add the length and width dimensions (in feet) of the foyer area together. This number is the proper width (in inches) for the fixture you’ll need. For spaces with 9 foot ceilings, a downrod from 4” to 8” is installed between the ceiling canopy and the fan. Installing the blades further away from the ceiling allows for more air circulation and fan efficiency. A majority of our fans come standard with one or two downrods for this application. 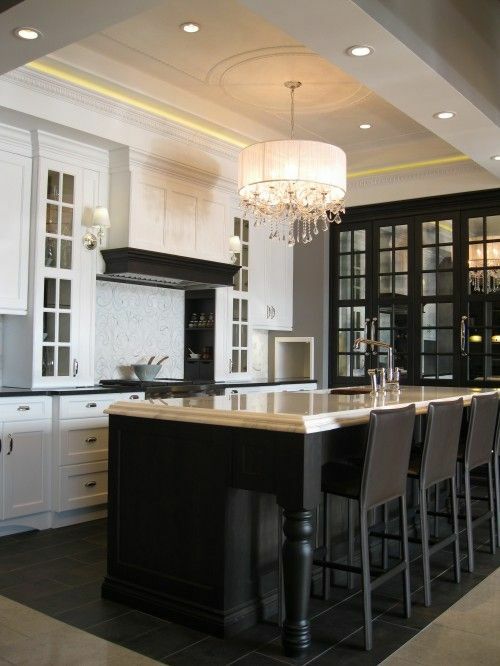 You can use a chandelier, a pendant, a flush mount or semi-flush fixture as the main light in your kitchen. The bottom of the fixture should be at least 7 feet from the floor. An updated way to transform your bedroom is to hang two mini chandeliers on both sides of your bed, over your nightstands. This acts better than a portable lamp and wall sconce combined. Functional as both direct, indirect, and ambient lighting. Perfectly placed pendants bring bright, focused lighting and a sense of warmth to your kitchen. 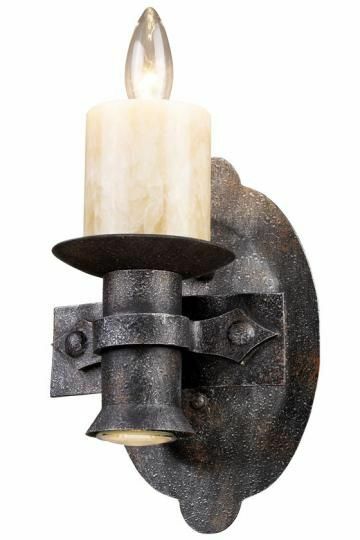 On the front porch, a pair of door-flanking sconces provides a soft light that welcomes guests. If you have a truly large bathroom, besides the vanity/mirror lighting, you will probably need an additional flush mount, semi-flush fixture, or even a small chandelier for a designer touch. Lighting a hallways can be difficult depending on its size. By measuring the length and width of the hallway, you can determine how many different lighting fixtures you will need to ensure that your hallway is fully lit. Keep in mind the proper placement of these fixtures in addition to the type of fixtures to use. The following tips will help you create the best atmosphere for your hallways. When selecting several lighting fixtures for your bathroom, check for available fixtures from the same collection, to match the overall look. Or, you may prefer to mix-up the collections for a more eclectic feel. 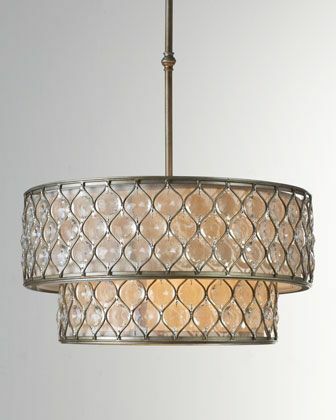 Your dining room chandelier should be no wider than 12 inches less than the width of the table. 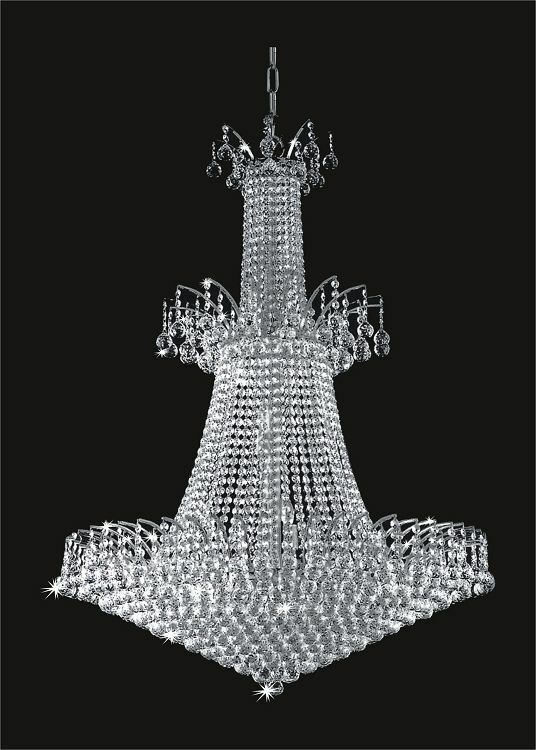 The bottom of the chandelier should be no lower than 30 inches above the tabletop. This height is for an 8-foot ceiling. Raise the fixture 3 inches higher for each additional foot of ceiling height. Larger bedrooms will require more sources of lighting. If your room’s walls are empty, you can install several wall sconces to give it additional lighting. Another easy way to achieve more lighting is by adding table lamps. If your ceiling is pitched 33-45 degrees, a sloped ceiling canopy adaptor must be installed instead of the standard fan canopy. This will allow your fan to hang straight. Shop for Fan Accessories to find the sloped ceiling adapter based on the fan’s brand and finish. The bottom of the fixture should be at least 7 feet from the floor. Depending on ceiling height, you could use a flush mount, a semi-flush mount, or if you have a tall ceiling, you may use a 2 or 3-tier, or larger chandelier. Now that you know the correct measurements and the appropriate fixtures to use in each room, here are some style tips to guide you toward the right lighting fixture for your setting. Here are some suggested items for you whether you like simple country, cozy rustic, or regal crystal designs. You can add wall lanterns on both sides of your front door approximately 66 inches above the bottom of the door, slightly above eye level. The height of the wall lanterns should be from 1/5 to 1/6 of the entrance height. Ceiling fans are a great and stylish alternative to an air conditioning system. They generally use significantly less energy to function than a air conditioning system, and can even double as a room’s main lighting source. There are many different styles and designs for ceiling fans, so you will definitely find one that appeals to your personal taste. In rooms with ceilings 10 feet or taller—such as great rooms, lofts, and expansive entryways, a longer downrod is recommended. Shop downrods for your brand ceiling fan to find all the size and color options available to you. We have sizes you may add to or replace with the downrods that come with your fan such as 12”, 18”, 24”. 36”, 48”, 60”, and 72”. For applications requiring more than a 72” distance from the ceiling, a coupler must be used to connect the two downrods together.